Christ Our Hope is a cluster of six Catholic parishes in the Archdiocese of Dubuque in Northeast Iowa. 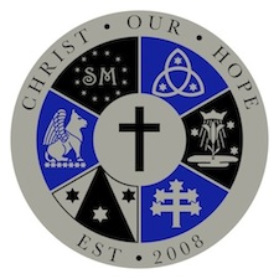 As our mission statement says, "The "Christ Our Hope" cluster offers meaningful, fulfilling, and varied avenues of worship, Catholic education, social service, and community life for all ages within our six (6) parishes to support the active practice of Catholic Faith in all that we do." While each parish in our cluster has its own unique history and traditions the parishes collaborate, sharing staff and resources for the benefit of each other. Rev. Aaron Junge serves as the pastor. The parishes of Christ Our Hope are Assumption of the Blessed Virgin Mary in Little Turkey, Holy Trinity in Protivin, Our Lady of Mt. Carmel in Lawler, St. John Nepomucene in Fort Atkinson, St. Luke in St. Lucas, and St. Mary in Waucoma. The cluster office and pastor's residence is located at the Holy Trinity Rectory in Protivin.